Experience beautiful Wadmalaw Island’s wines, teas, and spirits on this guided excursion. 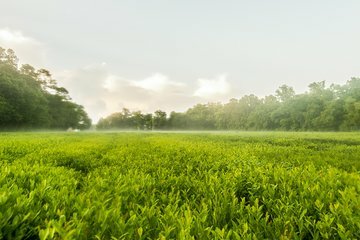 Step aboard a luxury bus and admire Wadmalaw’s picturesque trees at Angel Oak Park before touring Charleston Tea Plantation and sampling its delicious beverages. Learn about the region from a professional guide, sip complimentary muscadine wines at Deep Water Vineyard, and sample sweet tea vodka at Firefly Distillery. Great way to get transportation out of the city to visit the tea plantation, winery and distillery (we did not rent a car during our stay). A good value and a great time!